Bundle is a great way of clubbing and selling more than one course together. 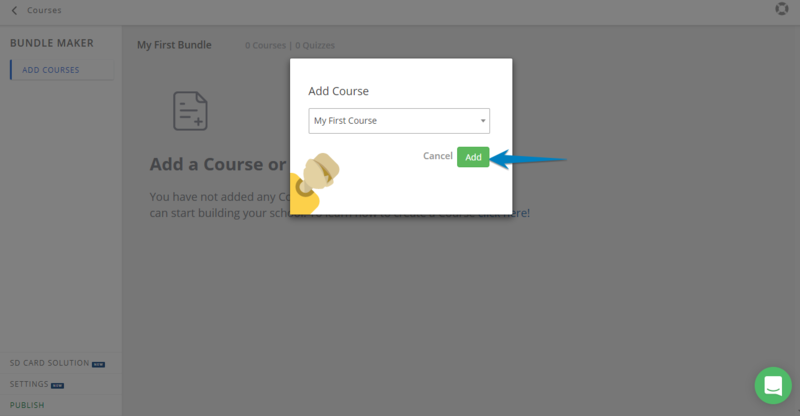 Here is how you can add your courses to bundle. 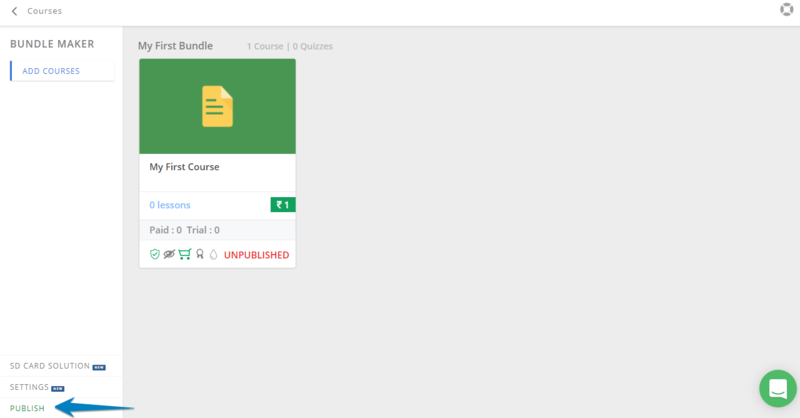 Select the bundle to which you wish to add the course and click on Add Course button to add a course to that bundle. Select a Course from the dropdown list and click on Add. This will add that course to the bundle.